Commentary about the episode, notes, “Aaron is the gentle man of peace who never reprocess but only tries to bring people to God through love and kindness. This concept was best articulated and possibly originated by Hillel in his statement, ‘Be of the disciples of Aaron, loving peace and pursuing peace; loving humankind and bringing them to Torah.’” (Reuven Hammer in The Classic Midrash, p. 189). Being a disciple of Aaron is a daily challenge for each of us. Like the consuming fire at the beginning of the parsha, God’s presence comes into the world through our actions. And, through our humble behaviors and speech, we can live in relationship with God as his vessels spreading the light of Torah to the darkest corners of the world. The dish that I prepared for Shemini is about recognizing and integrating God into our lives. 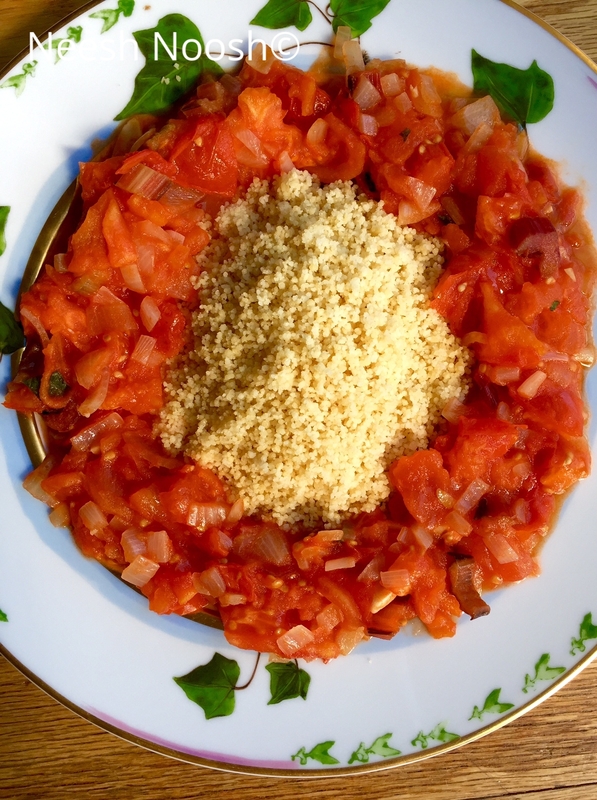 The dish includes two main ingredients: couscous and tomato stew. 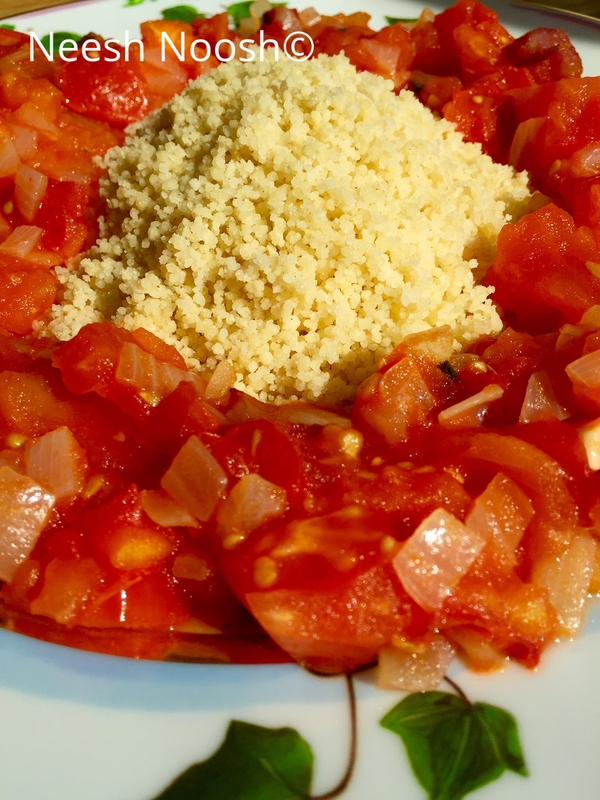 The couscous is symbolic of the Israelites while the tomato stew is the consuming fire. The two are blended together after presentation to represent the bringing of God into our daily lives. Rabbi Lazer Gurkow on Chabad.org comments that, “Aaron’s dominant trait was Chessed, kindness.” The concentric circles of the ingredients are also symbolic of the idea of chessed (loving-kindness) and the envelopment one feels when it’s expressed in relationship with another. 2. Over medium heat, warm ½ tbsp olive oil. Add onion, garlic and rainbow chard stalks. Cook until soft and onion translucent, approximately 5 minutes. 3. Add chopped tomatoes and a bit of water (not more than ¼ cup). Cook over low-medium heat, allowing tomatoes to soften and liquefy. Cook for 5-8 minutes. This entry was posted in grain, Parsha, Shemini, vegetable and tagged couscous, kosher, paerve, Shabbat, Shemini, tomato stew, vegan by Sarah Newman. Bookmark the permalink. Sara, I am back to read your Devray Torah and original dishes. I love everything you say and make. Thank you for nourishing us. 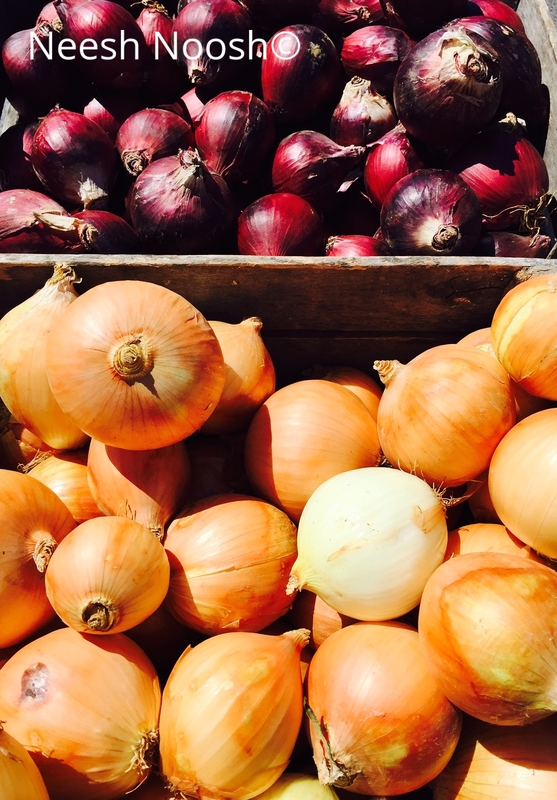 Hi Orit, Thank you so much and I’m glad you are enjoying reading and eating the weekly recipes! Hi Sarah, love what you offered in your d’var and excited to make this recipe. I used to spend time in Takoma Park when I worked in Bethesda. Miss seeing u at our local farmer markets. Great-I hope you enjoy preparing it! Thank you Sarah looks very tasty, I am running back to the market (just came in) to bring the necessary ingredients and surprise Dedi. Wonderful-love that it will be a surprise dish! I not only like the recipes I love the photos you have taken to go with the dishes. Yummy!